Former ETTU Cup champions, Spanish UCAM Cartagena secured another semi final in Women’s event. The overcame Russia’s Kazan in straight matches. In the first leg Spanish club also beat their adversaries 3:1. Like a week ago Svetlana MOKHNACHEVA could not find the game against LI Xiang, so it gave Cartagena good start. Just when it seemed we will see another repetition of the last week’s match between Iulia NECULA vs. Antonina SAVELYEVA point went other way. The result was the same 3:2, but this time the winner was NECULA. 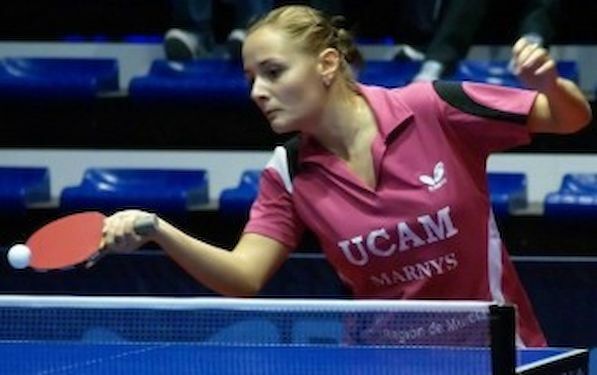 Ekaterina ERMAKOVA get her chance in Cartagena, but Maria XIOA did not let her seized the opportunity. UCAM Cartagena will play against French league leader Metz in the semi final of the event in March.